Here are some Great Vehicle Security Accessories that can be added to most any car alarm or auto security/remote start system! We carry most of these in stock and can install these car alarm accessories anytime as an add-on to your car security/remote start purchase. Control your car security through your smartphone. Get text or email alerts if your vehicle is tampered with. This feature requires installing the smartphone interface module with the compatible car security system. This is probably the ultimate in car alarm accessories. Track your vehicle Be able to recover it if it is stolen. Know where it is at any time. Get various alerts as to its driving behavior: speed alerts, location alerts. Vehicle may be tracked on your phone or on a computer. Tracking device may be combined with security system and remote start. 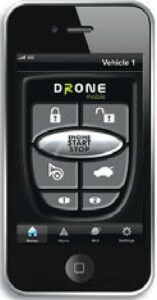 is used in auto security systems to detect movement within a space, like movement in the vehicle’s interior. Common uses are for covering the inside of a motor home, pickup truck bed that is covered by a camper shell, interior of a car, and interior of a convertible – even with the top down! Any significant movement within the space trips the auto alarm. 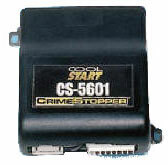 One of the most popular car alarm accessories for added security. Scanning LED’s come in a vaiety of sizes and colors. They are series of about 8 LED’s. Bright lights that move back and forth in different patterns that are controlled by you by pressing a button on the light. The scanning LED is a great deterent. It will warn people away from your vehicle, letting them know that you have anauto alarm and that it is armed. This can save you from a broken window! The intruders will often decide to victimize a different vehicle, one without a car alarm. All our car alarm systems come with a siren. 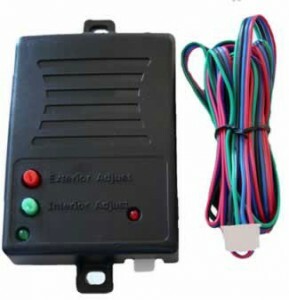 Sometimes an additional car alarm siren can be added to increase attention or even to add noise to the inside of a motor home or car when the auto alarm sounds. Great for adding extra piercing sound inside the vehicle to make it unwelcome for anyone to enter while the car alarm is sounding. Use two piezo sirens at a time for maximum effectiveness. 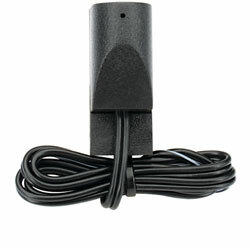 This auto alarm siren is rated at 115db, draws 255ma, for interior use, no relay necessary. This device enables the car alarm to simultaneously honk the car’s horn in blasts while the alarm siren is also wailing continually when the car alarm goes off. This creates tremendous noise and attracts maximum attention!This relay also has a pulse timer circuit that allows for pulsing the horn while the siren is wailing. You can choose to prevent the horn from honking during arming and disarming. In this way you get just the arming chirps from the siren instead of both the siren and horn honk together. The horn honks only when the alarm is tripped and the siren is sounding. 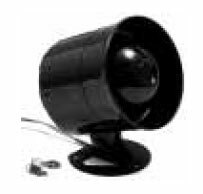 The battery Backup 129db siren is a great security addition to any auto alarm. Not only do you get an extra noise maker, but it contains it’s own backup battery that is automatically charged by the car. No need to replace batteries. With it’s backup battery, whenever the siren detects a voltage drop, the siren will start to sound on its own. If someone should disconnect the car battery, the siren will sound immediately. To prevent the siren from sounding or to turn it off once it has started, it comes with two special alarm keys that fit into a lock on its side. Turning the key off will turn the siren off. Questions on these Auto Alarm Accessories? Call us at 816-356-8700! Sometimes when installing an auto alram or alarm/remote start, the car may not have full power door locks or a door lock motor may be bad. If so, we can usually add or replace the door lock motor to enable the door to be activated elecronically as part of the keyless entry system or as part of the car alarm/remote start system. Some foreign cars like Mitsubishi do not have full power door locks. You must mechanically unlock the driver’s door and then the other doors will unlock electronically. In this case a door lock actuator must be added to the driver’s door to convert this door to power unlock. Without the motor the driver’s door would continue to unlock only mechanically and would not respond to the keyless entry command of the car alarm or remote start. Air Horns represent one of the loudest noise makers you can add to the car security system. When we install air horns on a vehicle, we pair it with the horn honk module to pulse the air horns so they will sound in blasts. 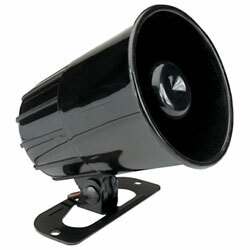 We recommend they be used along with the auto alarm’s siren so that there are two noise makers sounding simultaneously. The air horns can also be installed separately for use by themselves. 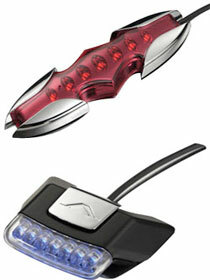 The impact sensor is at the heart of the protection the car alarm provides. The shock sensor detects any attempt at brute force entry into the vehicle. Any impact on the doors, windows, or trunk is detected. If someone tries to punch out a door lock or strong arm a lock or hatch, or if someone tries to damage some wheel locks so they can steal those expensive chrome wheels, the impact sensor will detect the vibrations and immediately sound the car alarm. All auto alarms and car alarm/remote start combinations we sell and install have an impact sensor as part of the security system. A second impact sensor can be added to the rear of large vehicles to increase coverage for better results. 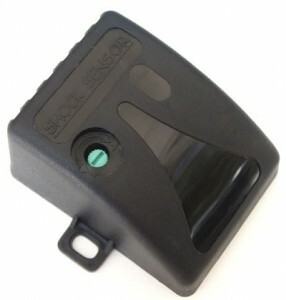 Also the impact sensor can be added to tool boxes on work trucks to protect tools. When the sensor detects a break-in impact, the auto alarm will sound. In this way the car security system gives more complete protection to your expensive work tools on your truck. 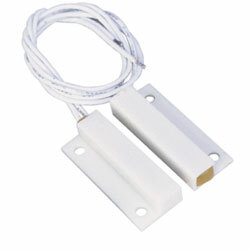 This digital tilt sensor is designed to work with most aftermarket alarm systems. It helps detect when a vehicle is being raised in an attempt to either remove the vehicles wheels or to tow the vehicle. This tilt / motion sensor has a 1 to 3 degree tilt sensitivity, and will reset the vehicle’s initial angles of vertical and horizontal inclination each time the vehicle is parked. This ensures the most accurate tilt and motion sensing possible. This unit is added to the car security system and exist along with the impact sensor that is already on the car security system. The relay is used throughout the auto alarm system for many different functions. It is a building block that enables us to install many different features. Some of the most common are starter disable (preventing the vehicle from starting), keyless entry for locking and unlocking the doors, trunk release to pop open the trunk, or to add additional sirens to the security system. 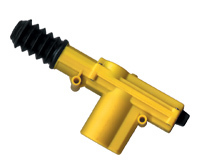 Pressure switch is used under a floor matt or inside a seat cushion to detect someone entering a vehicle or sitting down. Trips car alarm upon detecting pressure. What if you do not have a power trunk release but want one. In many cases we can add it for you by installing a power trunk release which includes an electric motor or solenoid installed in the trunk plus the pushbutton switch which is installed up front near the driver. Pushing the switch pops the trunk. 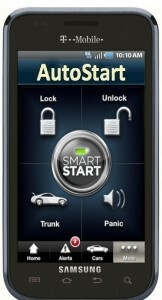 The switch can be wired to be controlled remotely by the car alarm, keyless entry system, or remote car starter. Door poppers do just that. They pop open your car doors when you unlock them. This system is used mostly on vehicles that have shaved door handles, where there is no other way to automatically open the doors. The poppers actually push the door open. 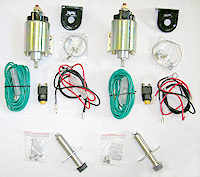 The door popper system includes the spring loaded poppers, strong solenoid motors that pull the door lock mechanism to electromechanically unlock the doors, and a keyless entry system not pictured here that activates the solenoids individually via a pair of remote controls. Backup Battery A backup battery give the auto security system backup power in case of loss of power. Examples: You leave your lights on in the car and your battery runs down. If someone brakes in, your alarm will not sound unless you have backup power. Or say a burglar deliberately targets your car battery somehow either damaging it or disconnecting it. With a car alarm backup battery your vehicle security system will still work, protecting your investment. The battery backup is connected only to the car alarm. It does not power the car. It is isolated from the vehicle’s main battery, but it is charged by the vehicle. 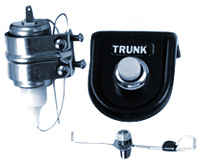 Pin switches are one of the oldest car alarm accessories used on doors, hood, trunk and any opening that can accommodate them. Often these ae optional switches added for additional protection of the vehicle. Sometimes the circumstances are such that a pin switch will not work. In many of these cases a magnetic switch can be used. This is essentially a magnet and a switch. When the magnet is moved away from the switch, the switch activates the car alarm and sounds a siren. 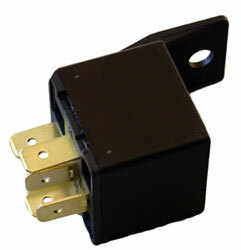 Magnetic switches are often used for rear slider windows in pickup trucks, some camper shell doors, and any other opening where a pin switch won’t work. 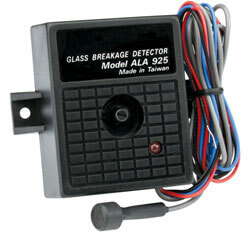 Detects 15% movement of a trunk lid or hood as it is opened, as the tilt angle changes. 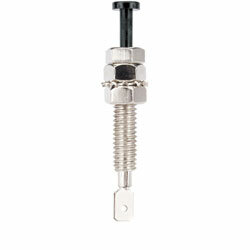 Is used in situations where normal pin switches can not be installed. Trips car alarm when enough of a tilt is detected.